The Huawei B612 and B715 are both in traditional Huawei design like predecessor model Huawei E5186 and B593. On the front, there are few indicators to show the status of Power, Mode, WiFi, LAN and Signal. Huawei logo is located below the indicators. On the back, there are four RJ45 ports for Ethernet connection, actually, 3 ports for LAN and one is for both LAN & WAN. They also both have the RJ11 port for a telephone. The Huawei B715 has one more USB port but B612 doesn’t have the USB port. They both have two SMA connectors for external LTE antennas which are located at the top back and covered by a cover. Users need to open the cover to see and connect antennas. And they both have the SIM card slot located at the bottom of the router. 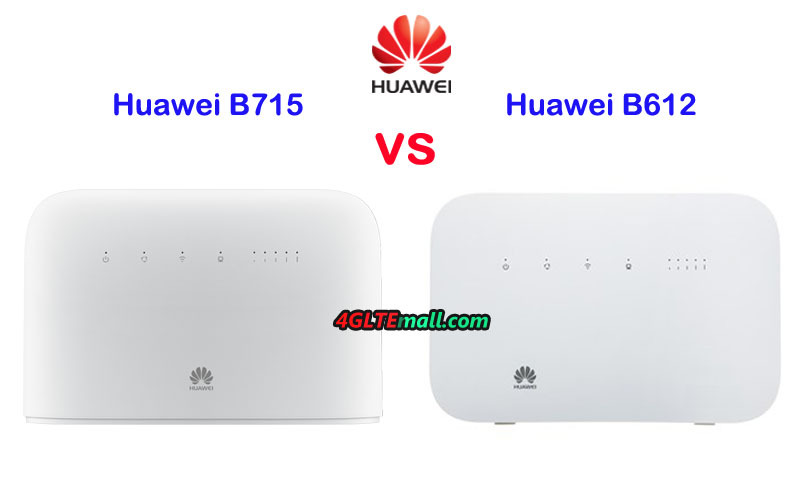 The difference is on that modem Huawei B612 has an angled backrest, which makes it stand stably. The Huawei B715 could support up to 64 wireless devices while Huawei B612 could support only half to 32 users simultaneously. Actually, in most cases, the support of 32 users would be enough for daily use. 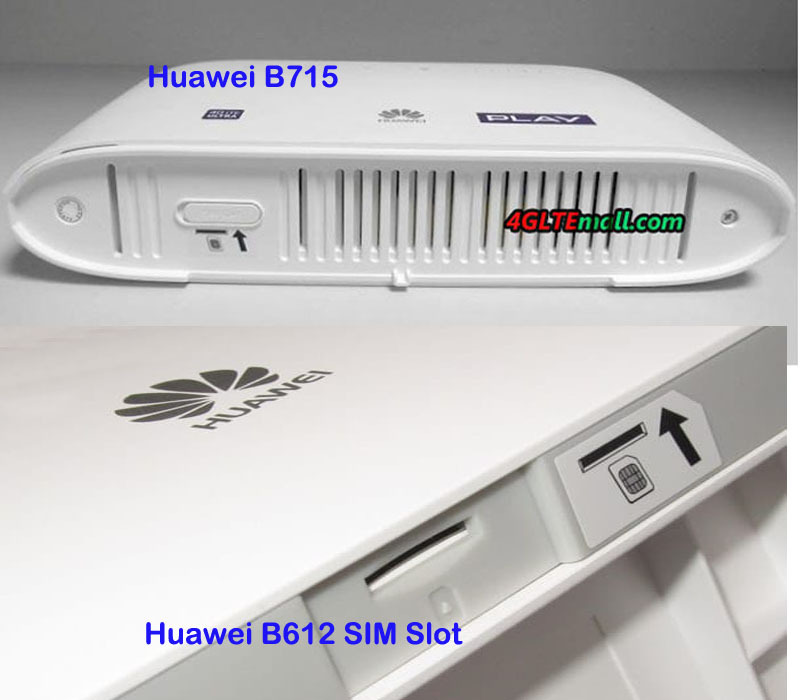 Since the Huawei B612 is the latest 4G+ Cat6 router, the Huawei B715 price is very close to it. But we suppose the price of Huawei B612 would be down soon when there is the mass supply of the unit. 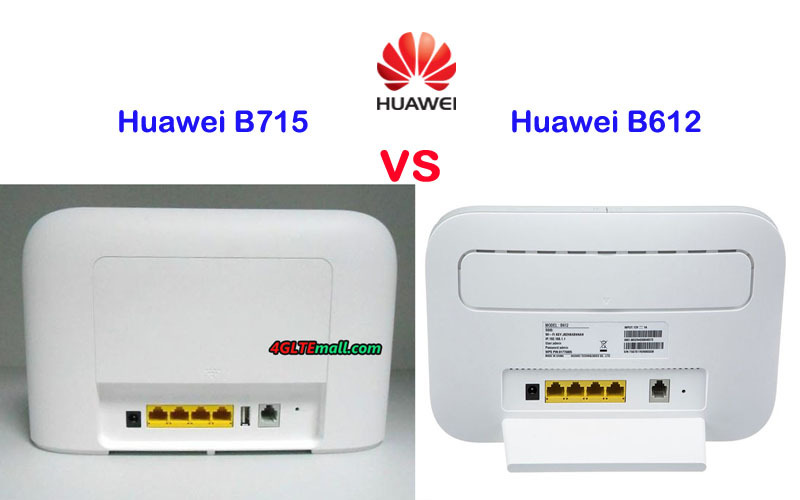 In our opinion, the Huawei B715 and B612 are both very good WiFi router for home and office use. Their functions are very similar and even though they support different LTE Category, in real use, you may not find the real difference in connection speeds.